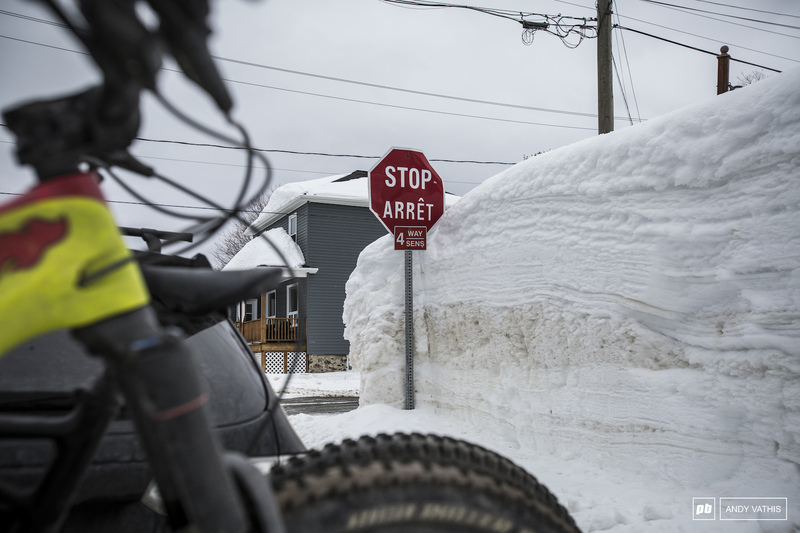 It’s been quite the winter for weather in Eastern Canada. 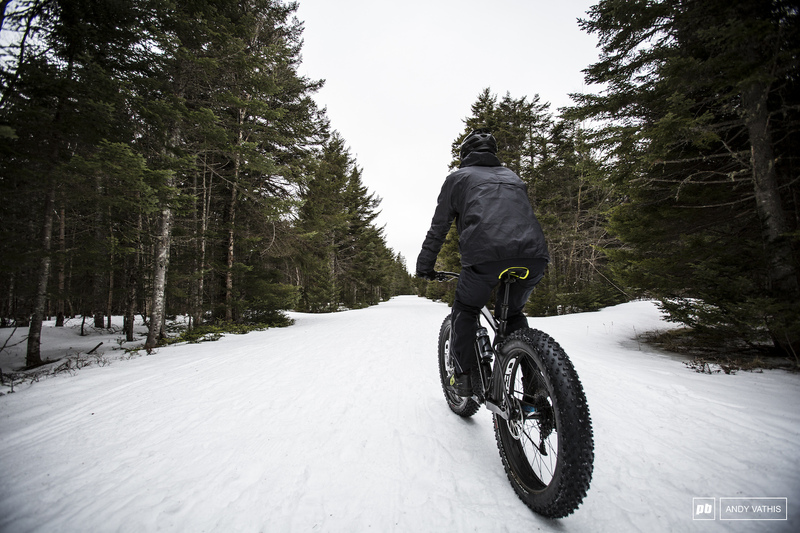 We've had our fair share of unbelievably freezing temperatures followed by some milder days that make us question, “Does this mean I'll finally get to ride my bike soon?” Well, if you find yourself in New Brunswick and don’t mind your tires extra wide, the answer is, you already can! 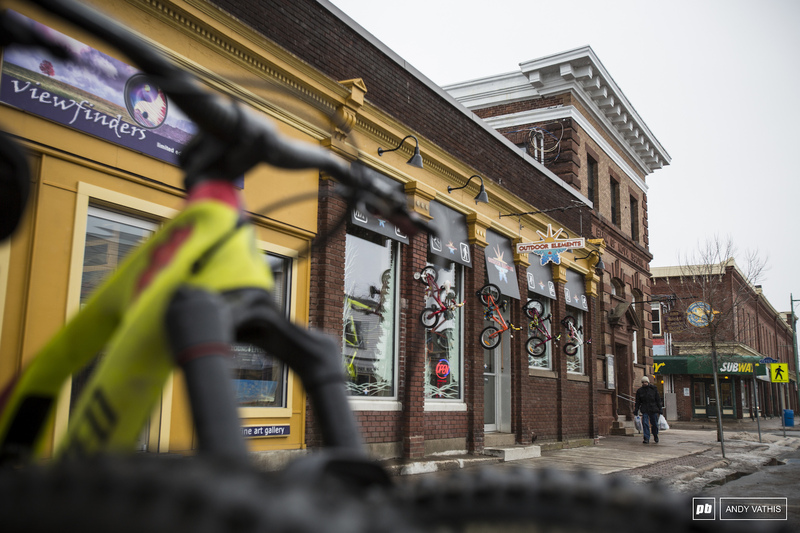 New Brunswick’s cycling scene is on a steady rise thanks to the trails that have been appearing in and around its major cities in recent years. 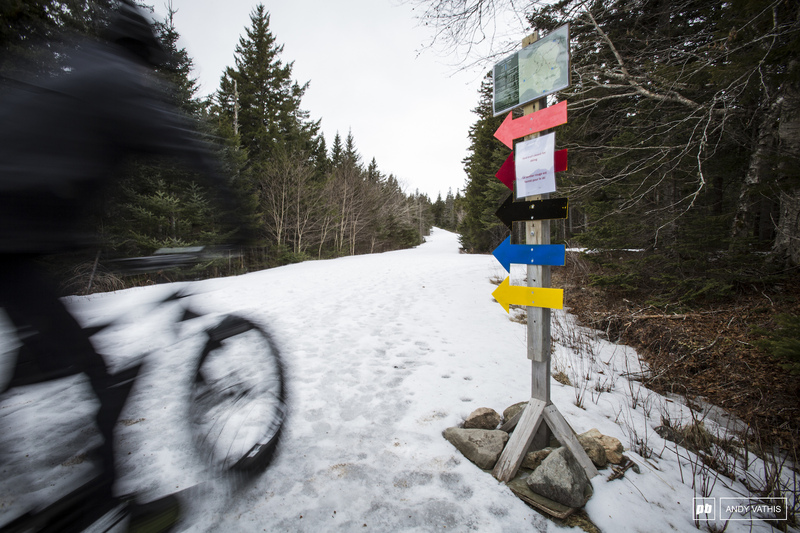 There are many efforts across the province to design trail networks that conform to land restrictions and are also challenging enough to keep riders interested in return visits. 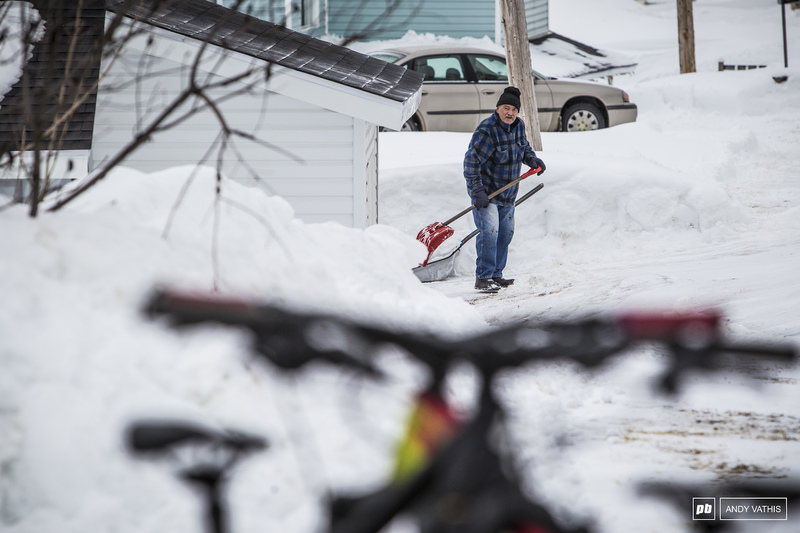 The recent push has now been carried into the province’s winter months giving outdoor enthusiasts another option than cross-country skiing and snowshoeing in the winter. Our little Tour de Fat began at Sugarloaf Resort before heading south to Fundy National Park and then ending in Edmundston. We had the opportunity to enjoy a small portion of daily life in each location and even got to spend time with a few locals before throwing a leg over our fatties. The J.C. Van Horne Bridge connects Quebec and New Brunswick. We were guided into the city of about 8000 by the light of a full moon. We were then greeted with the glow from the night skiing at Sugarloaf Resort. 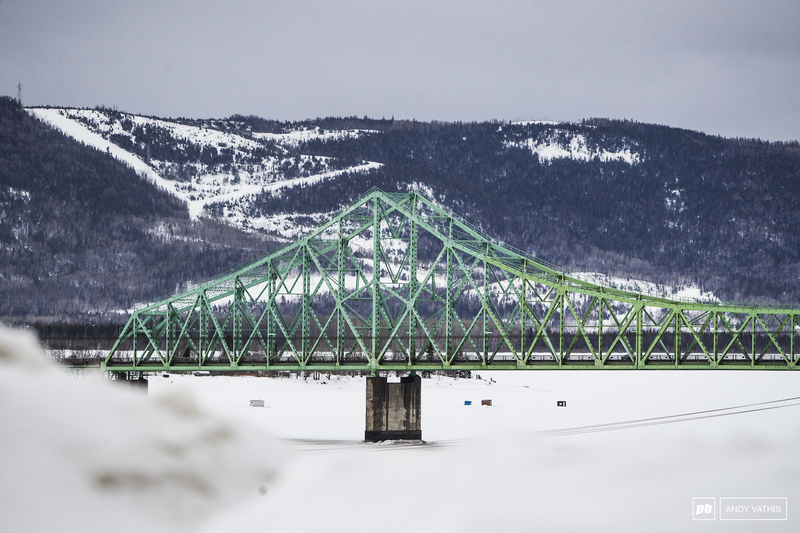 Campbellton rests on the southern side of the Restigouche River that divides Quebec and New Brunswick. 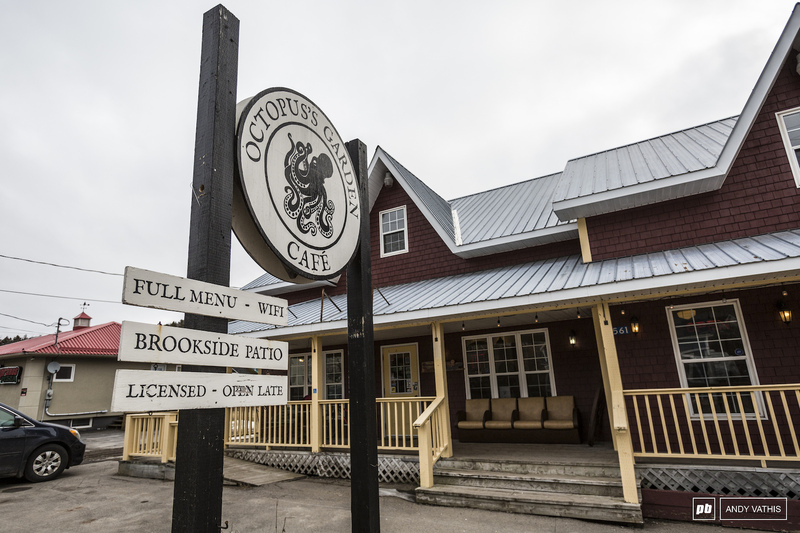 Once off of Highway 11, it isn’t long before you find yourself on the main strip and heading towards one of two major hotel chains. 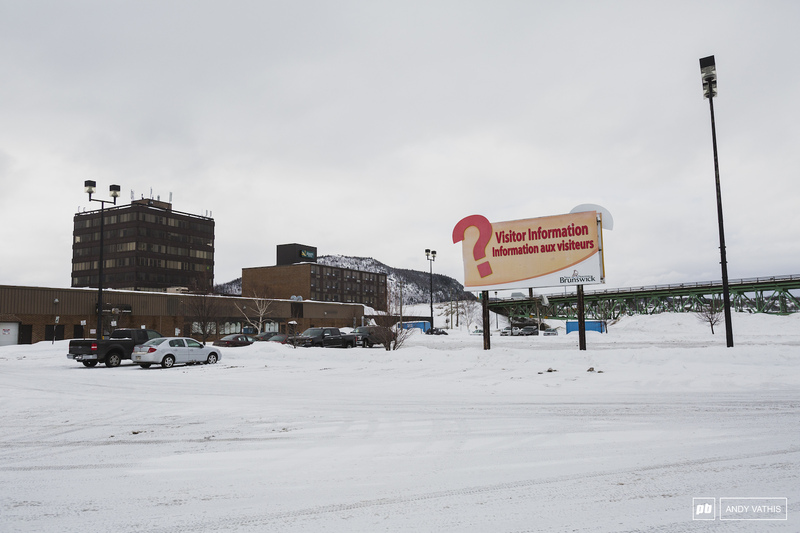 It was very obvious from the beginning that Campbellton, along with the surrounding areas, was built on industries of pulp mills and fishing. Artifacts from the production of these goods lay dormant along the coast and neighboring towns. It wasn’t until about a decade ago where a change in economic focus turned towards forestry and, most notably, tourism. Small town scenes in downtown Campbellton. The tallest of snowbanks! Some houses were buried to their doors in snow. I can't imagine the chaos attached to that size of a snowfall in a big city. We got pretty damn good at this by the end of the trip. Sugarloaf Provincial Park is a vast summer playground but now there’s a new reason to visit in the colder months. 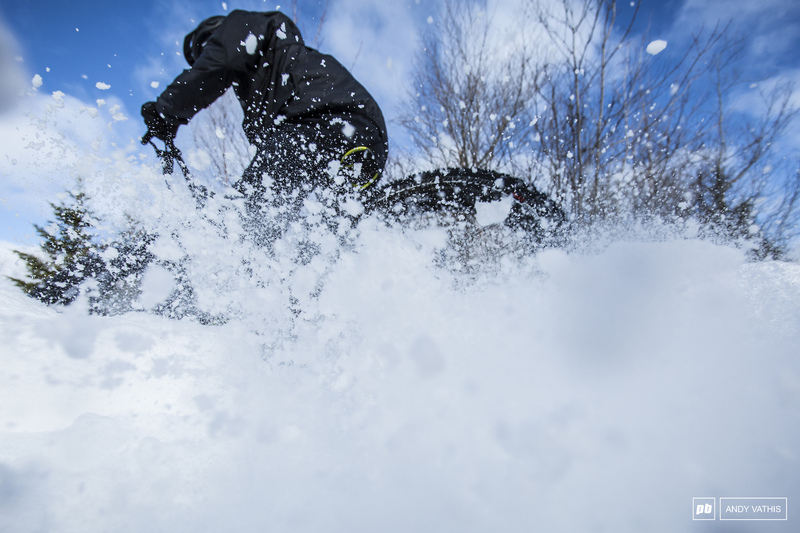 If you’re not roaring through it on your snowmobile, you’re probably on the slopes. 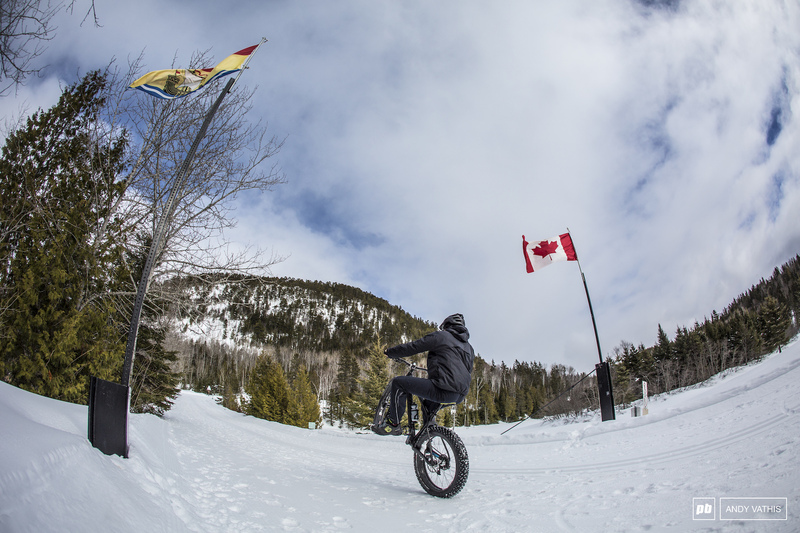 Luckily, you can rent out a fat bike from the same spot you get your skis from at the base lodge. 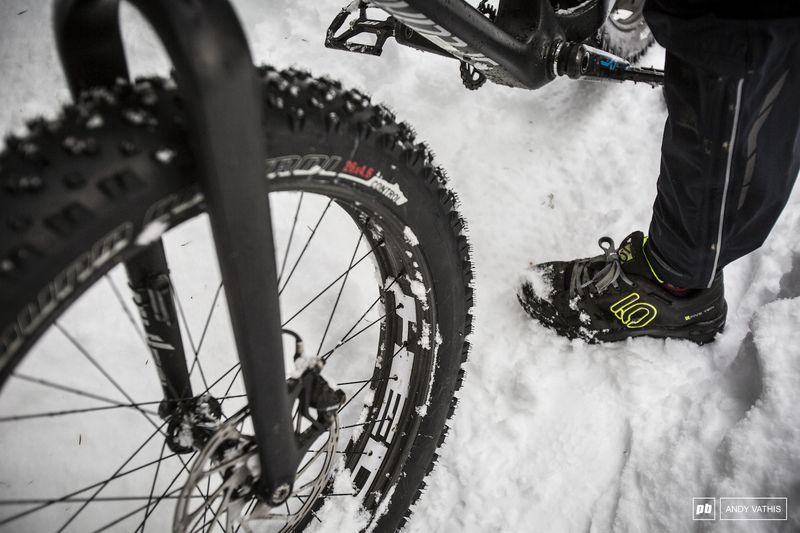 The network of trails is perfect for anyone being introduced to the winter side of cycling. There are no heavy descents or massive climbs and you can access the grounds straight from the parking lot. The map is fairly straightforward and will keep you occupied as you make your way around the loop connecting different trails. 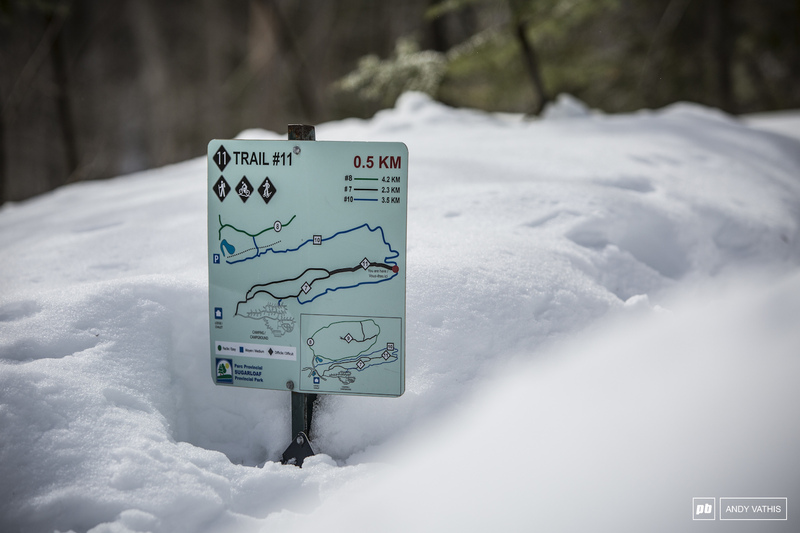 The trails are, however, open to hikers and are maintained by snowshoeing so expect some traffic and narrow bits. Flat pedals were way more fun than being clipped in. The width of the trails didn't allow much space for passing hikers and if you stepped off into the snow, consider yourself stuck. No signs of double-tracks here. 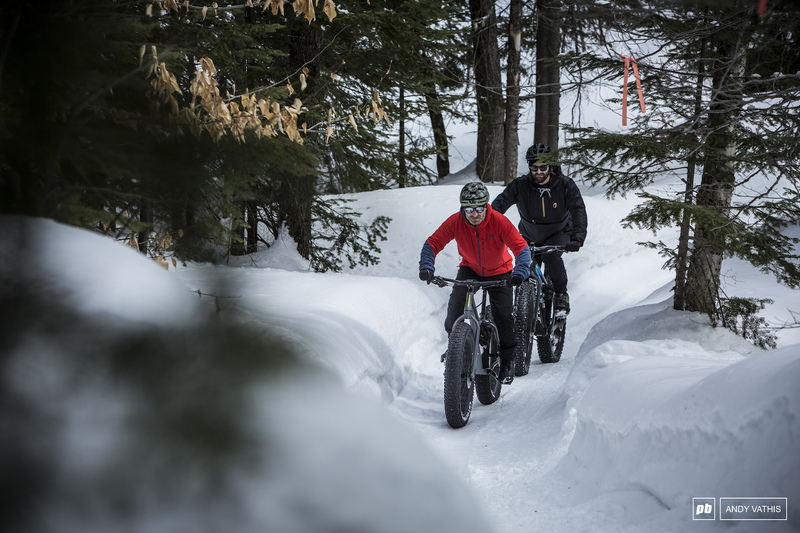 Who says fat bikes can't be fun? James finding doubles. James and I made our way through the White Pine trail; the upper-most loop on the map. It was the least populated with hikers and, to our surprise, had a fun switchback descent on the back end! We had local legend, Pierre Caissey, who grew up in Campbellton, help us find our way throughout the day. Pierre had many good tales for us. He was really happy to show us around and show off where he spent his childhood. He explained that there are many hidden gems around the Sugarloaf Provincial Park where he and his friends explored as kids. 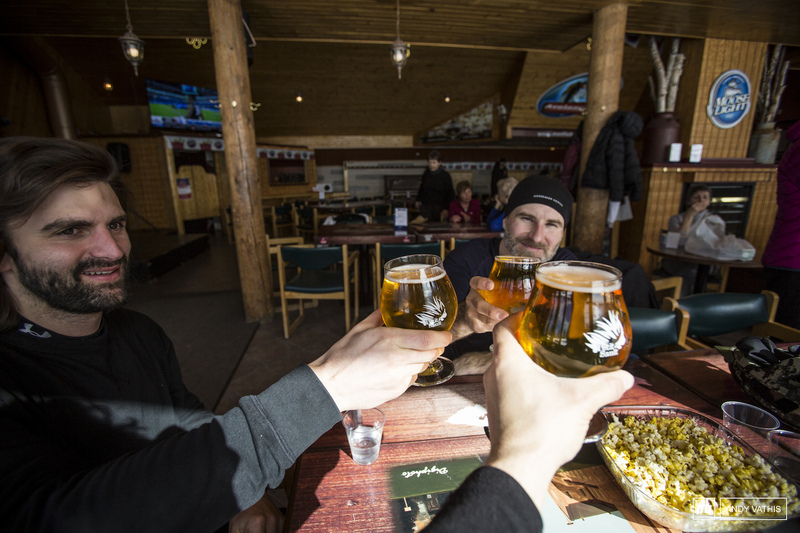 Phat wheelies and then apres-fat to end the day at the T-Bar. The drive down from Campbellton towards Fundy took us through Moncton and passed the famous Hopewell Rocks on a twisty road along the coast. 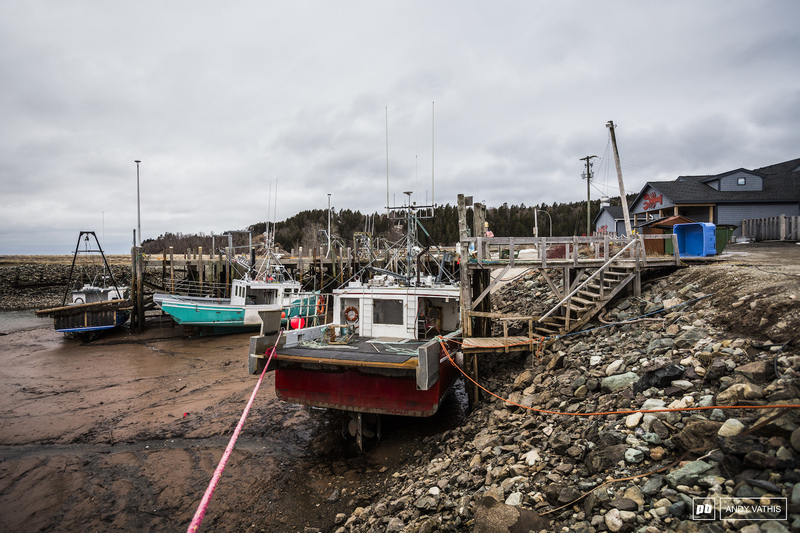 The town of Alma sits at the gates of Fundy National Park and its population fluctuates almost as much as the tides do. 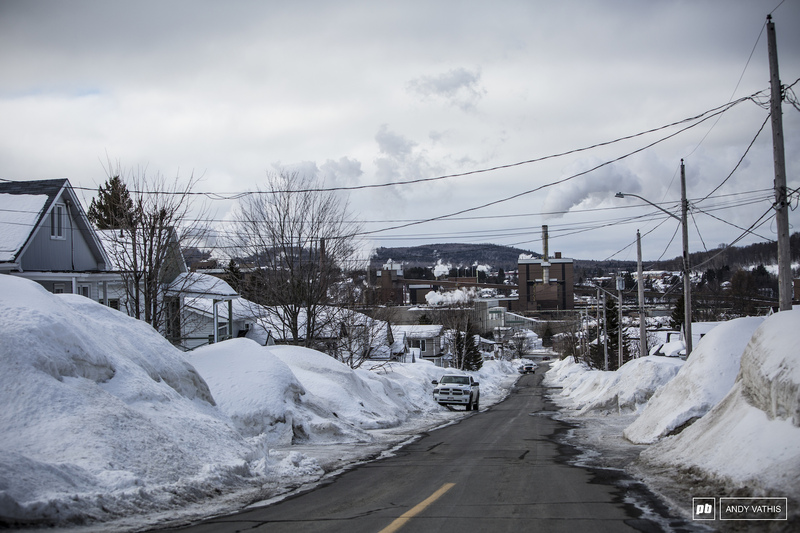 Roughly 200 residents live there year round but because of the influx of people in the summer months, that number nearly doubles once the weather gets warmer. The Bay of Fundy is home to the largest tides in the world. Crab and fishing boats rest while patiently awaiting the tide to roll back in around noon. The slower pace of life in the town makes for a very friendly environment. We were welcomed to dine at the Octopus’s Garden. It was the only restaurant open during the off-season but we couldn’t complain one bit. The food was fantastic and well portioned and Joel, the owner, treated us like family. We were far from disappointed with our meal choices. 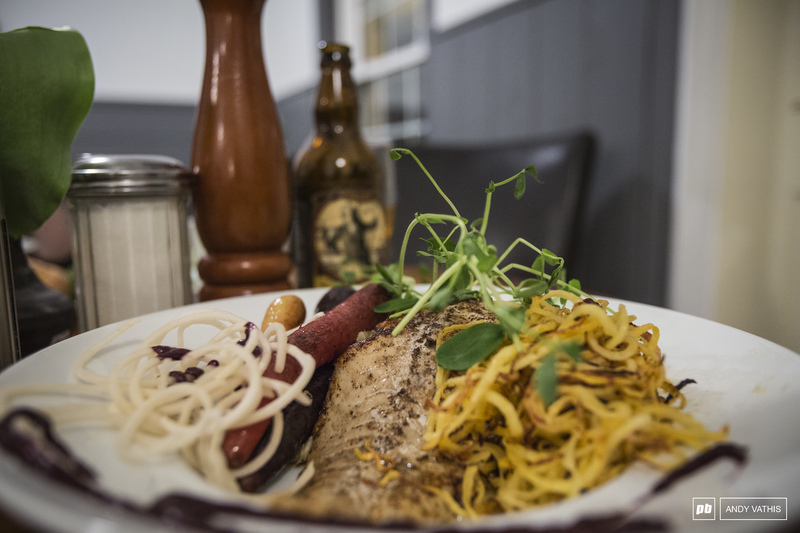 All their dishes are made with simple ingredients that are locally sourced. Joel Cadieux and his wife run the business. While talking to them over dinner, they told us about their time spent across both coasts and how they ended up staying in Alma. They were also quick to mention that once they opened, the locals were confused about the size of their coffee as they've never had an espresso before! We finished our plates clean and skipped across the street to the Holy Whale; a church cleverly converted by Peter Grandy and his brother into a microbrewery serving arguably the smoothest and tastiest beers this side of the Pacific. 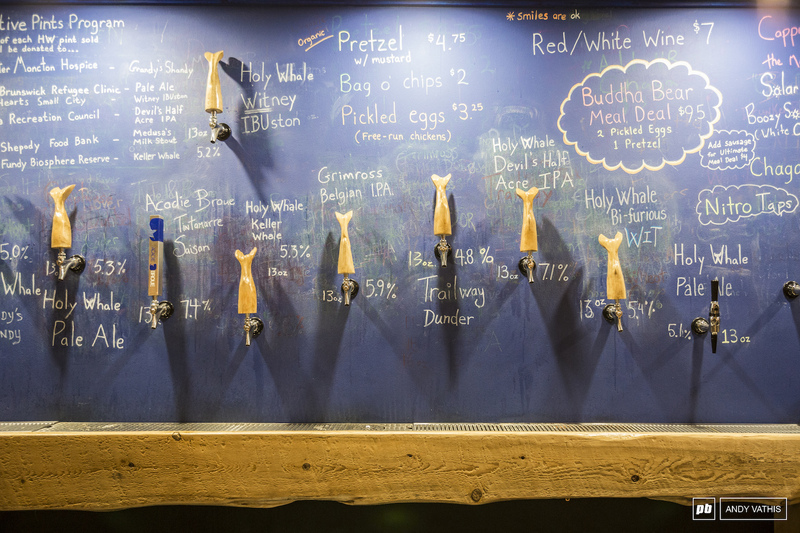 Whale beer taps. 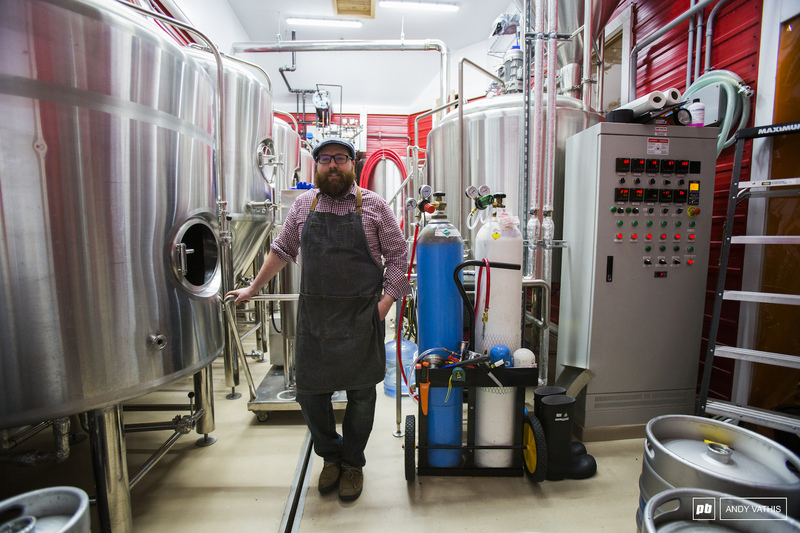 Peter gave us a small tour of his microbrewery and explained a few methods he uses to achieve such a tasty beer. It would have been rude to leave without trying a few different kinds of his beer, right? 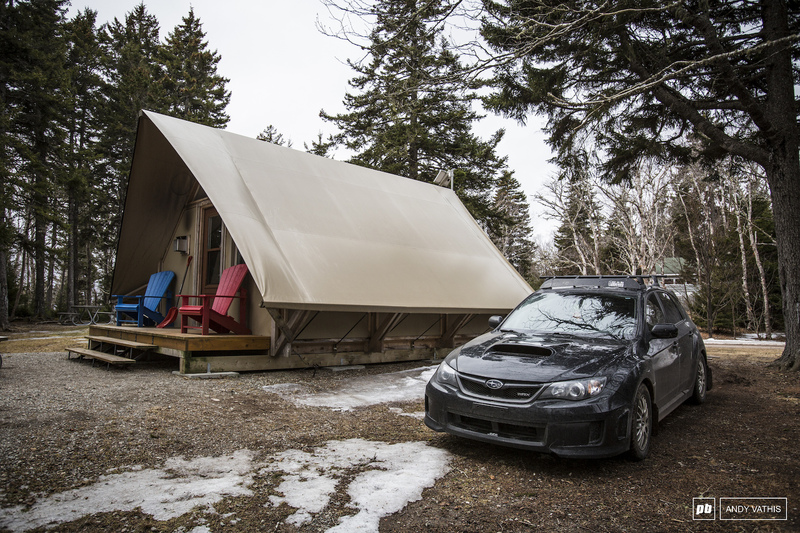 Since camping in a conventional tent outdoors wasn’t really our thing considering the outdoor temperature, our accommodation for our stay in the Park was a bigger, warmer tent-like structure complete with a propane heater and bunk beds. They’re called oTENTiks and can be reserved along with an array of yurts on the campgrounds. There are also a couple rustic cabins that are found on the trails if you’re feeling adventurous. 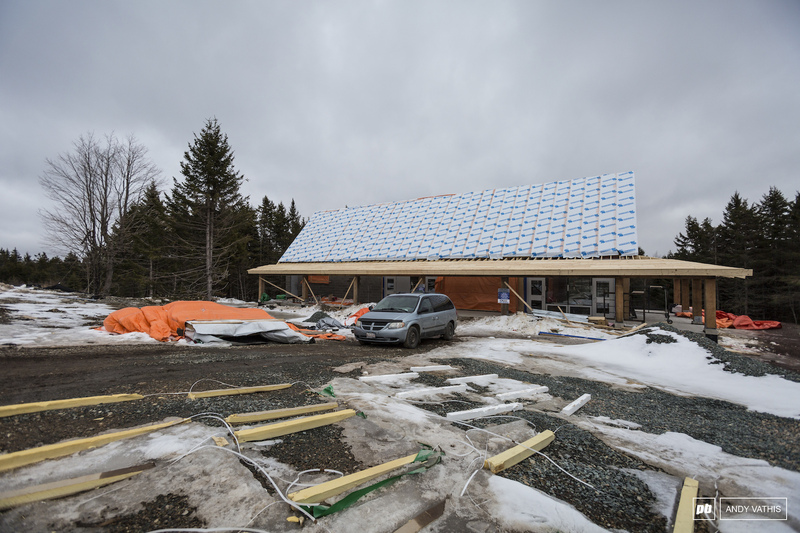 Before I tell you about the groomed fat biking trails that are more like groomed roads than anything else, I’d like to start out by explaining that Fundy has invested a lot into their mountain biking campaign and are currently building a centre that will cater to just that. 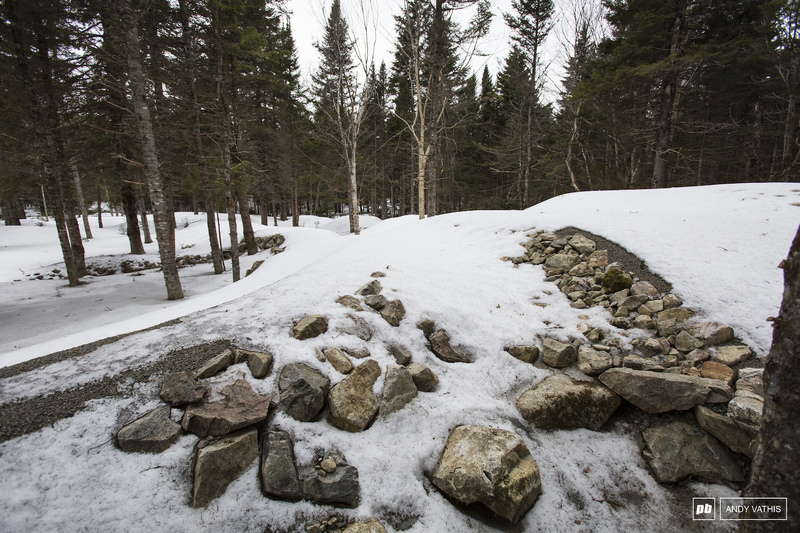 Over the fall months, Fundy worked with trail builders to create an extensive trail map that features flowy trails, traditional XC loops, and something for the more advanced rider. There’s also a big pump track placed between the trees just beyond the trailhead. 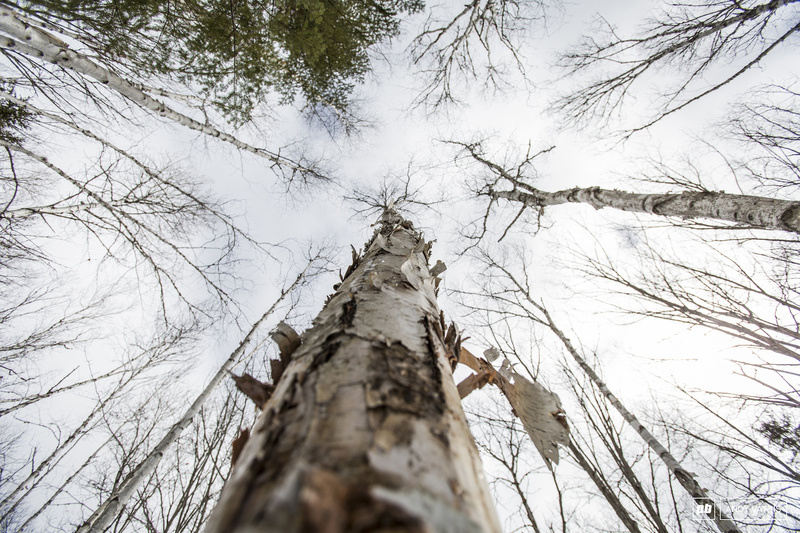 All of the trails and changes made to the existing network have sustainability and the natural environment in mind. 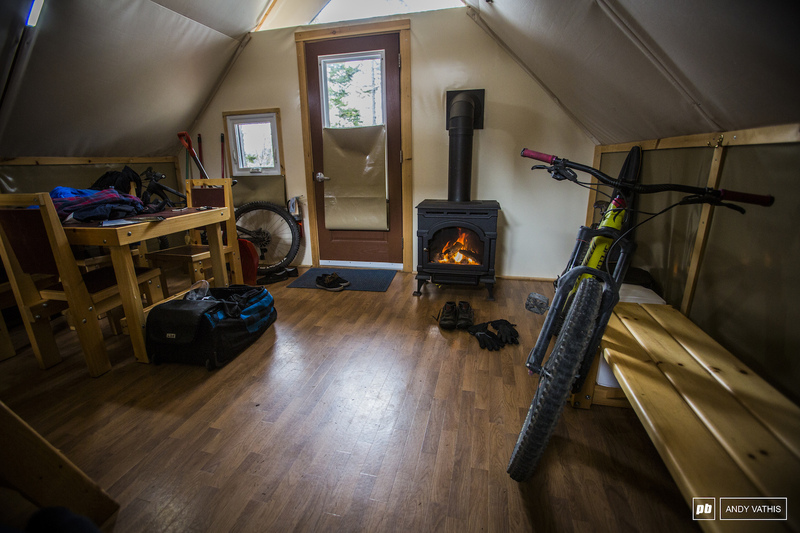 Bike rentals at the moment are being supplied by Outdoor Elements in Sussex, about 40 minutes out from Alma on the north side of the National Park, but will soon be a permanent service within the new outdoors centre. The new outdoors centre should be finished this spring and although covered in a layer of snow, the pumptrack looked very promising! It features a proper irrigation system that should minimize the negative effects of standing water. James making his way down the hard pack highway. 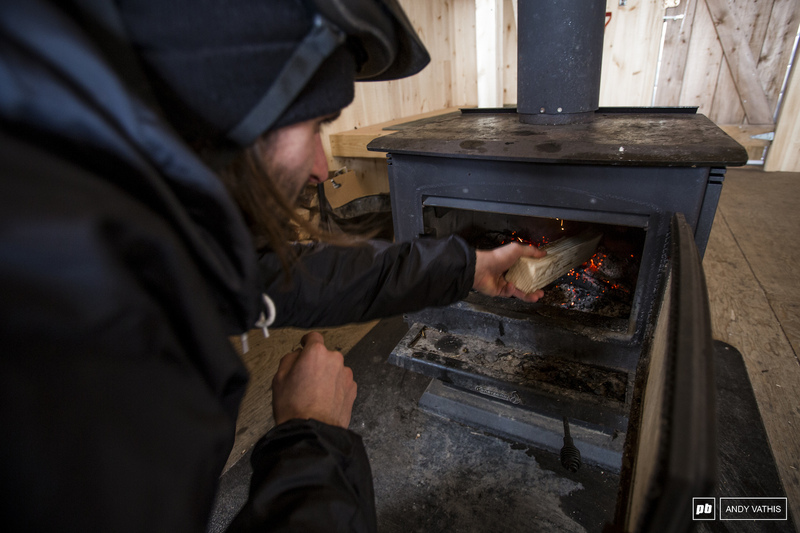 We came across one of the rustic cabins that can be accessed right off the trail at about the mid-way point and stopped in for a snack while the fire warmed us back up. 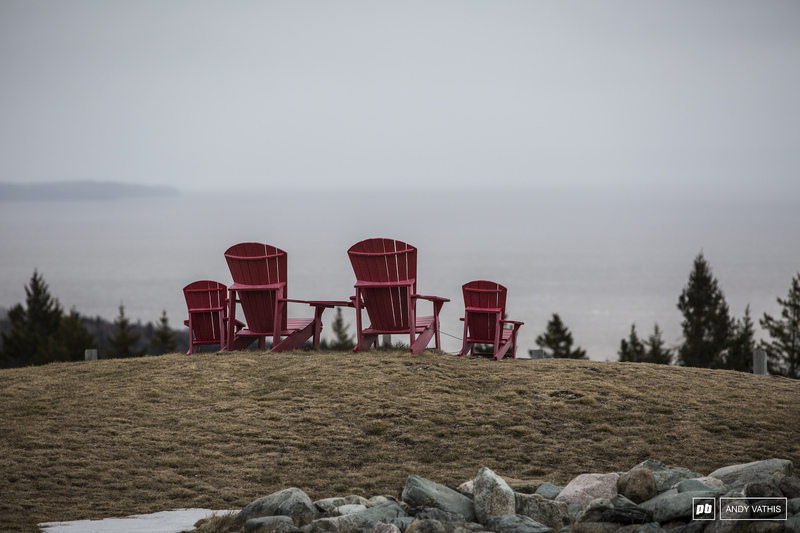 On a clear day, the Bay of Fundy would have been visible from the porch. The fire ain't gonna start itself! We're going to need some wood. James Jeannet; one with nature and always good for a portrait. The Park's staff are always there to help with any questions concerning the trails and any plans you may have. Everyone we spoke to was super enthusiastic about the future of both mountain biking and fat biking on the grounds. 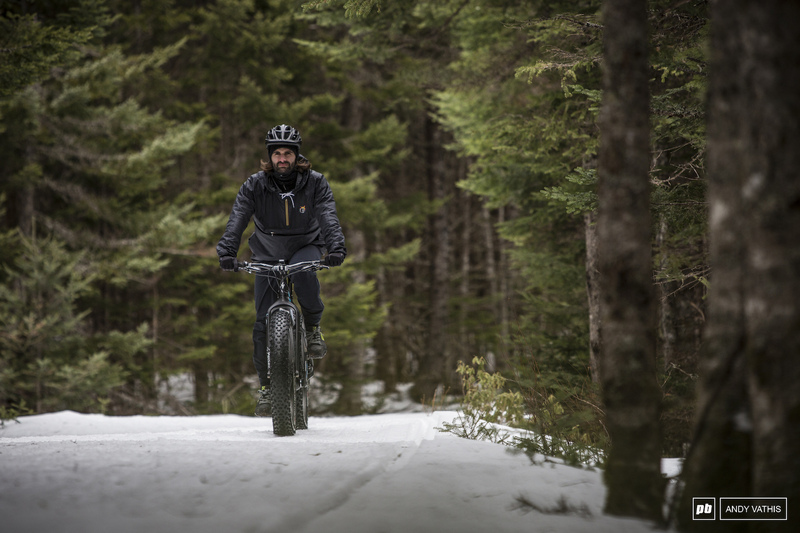 The addition of the outdoors centre and improved trail network is putting Fundy on the map as a new destination to go ride. 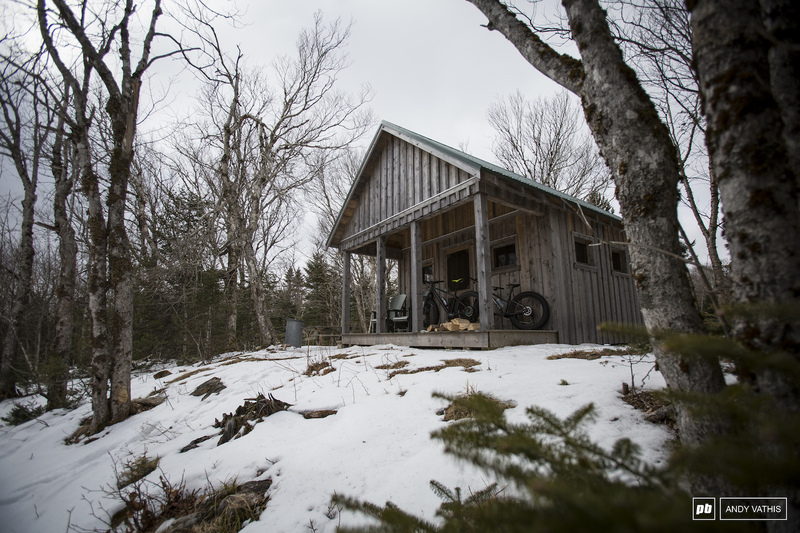 Until everything is set up, bike rentals are being supplied by Outdoor Elements in Sussex, about 40 minutes out from Alma on the north side of the National Park, but will soon be a permanent service within the new outdoors centre. In the final leg of our trip, we headed back north towards Edmundston. 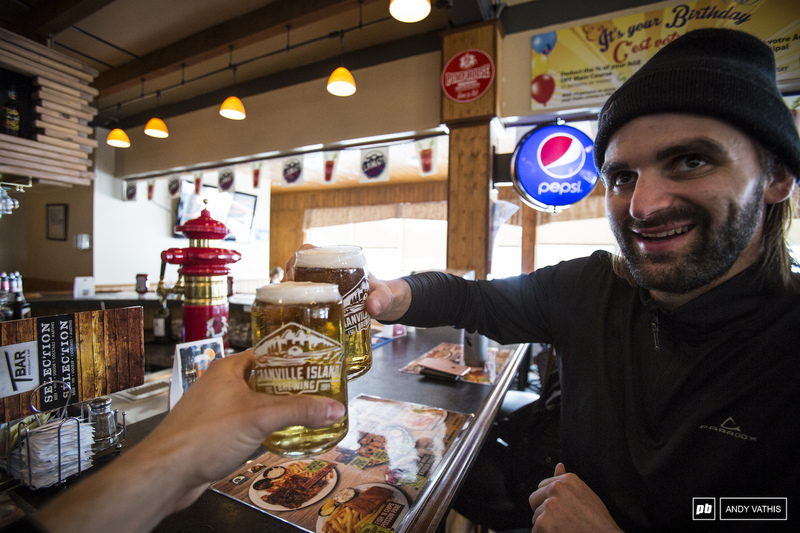 It’s the biggest city featured in our tour and, if you’re coming from Quebec City, most likely your first stop. 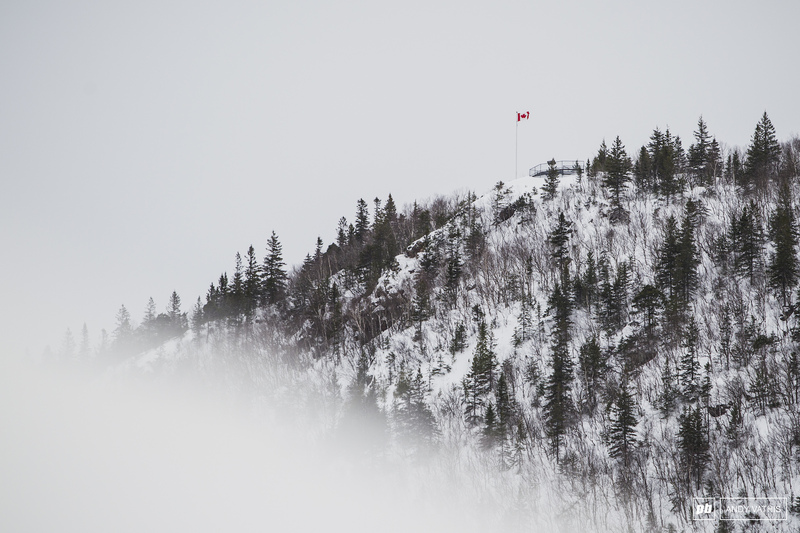 We had planned to meet up with Marc-André Martin, the manager at Jessome's Source for Sports, who would give us a tour of the trails up above Mont Farlagne. 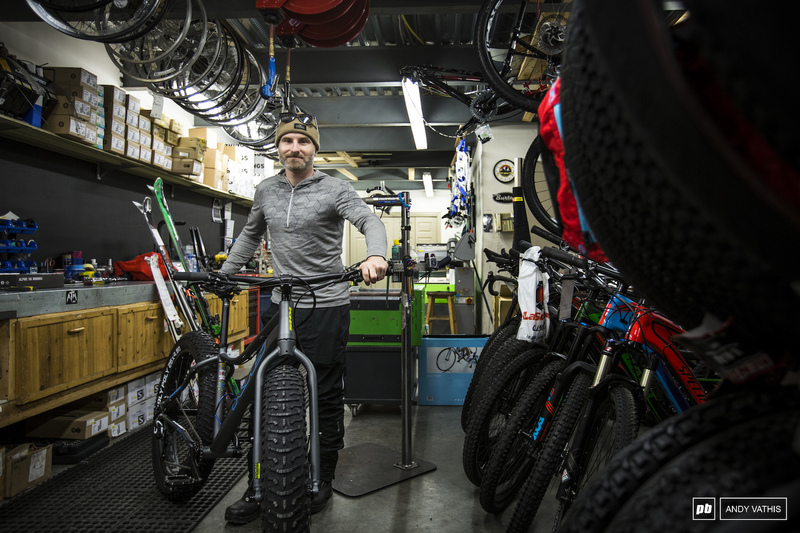 At a five minute drive from the base of the hill, Marc-Andre’s shop has got everything you need to make sure you’re all set up for your adventures. He’s a pretty popular guy, too! People stopped us a number of times to chat with him out on the trails. Marc-Andre ready to give us the tour. If you’re keen to get the heart going straight away, you can head straight up a green run to the trailhead… or take the lift while your bike gets escorted to the top for a small fee. 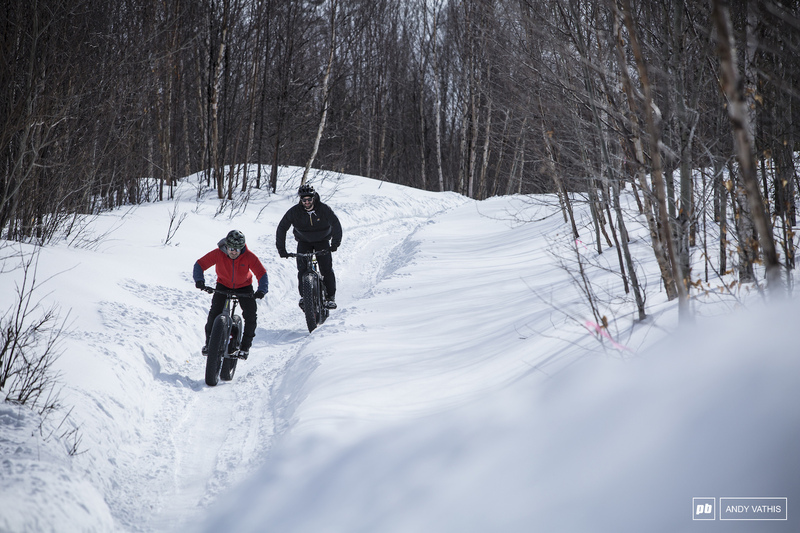 The trails above the ski centre were a better example of what you should expect when out fat biking. 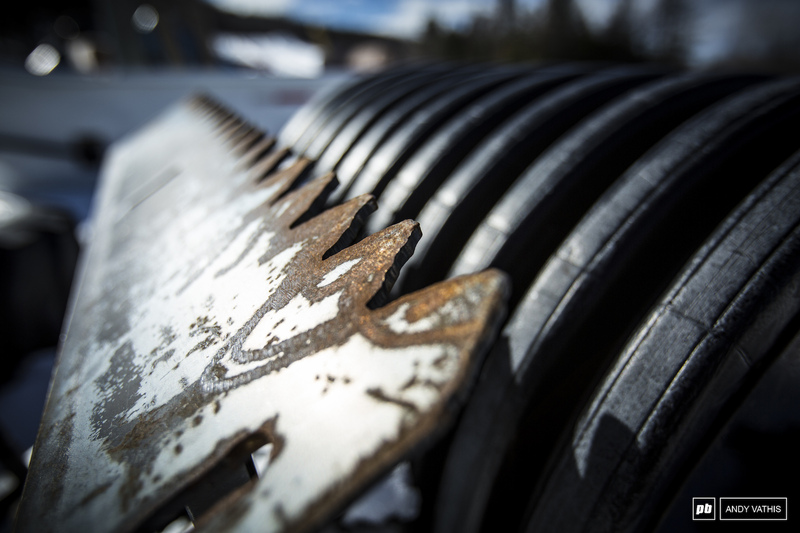 The mountain has multiple grooming attachments that hang out at the back of a snowmobile and they are big on maintenance. 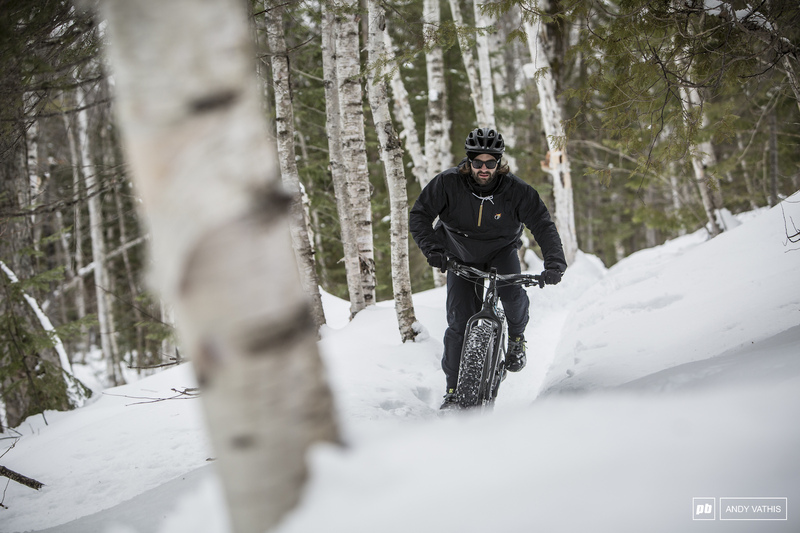 The loops are nice and wide and take you through different types of forest before shooting you back down on a designated fat bike downhill trail. You can also opt to take the same easy ski run that you climbed downwards for some sideways action! 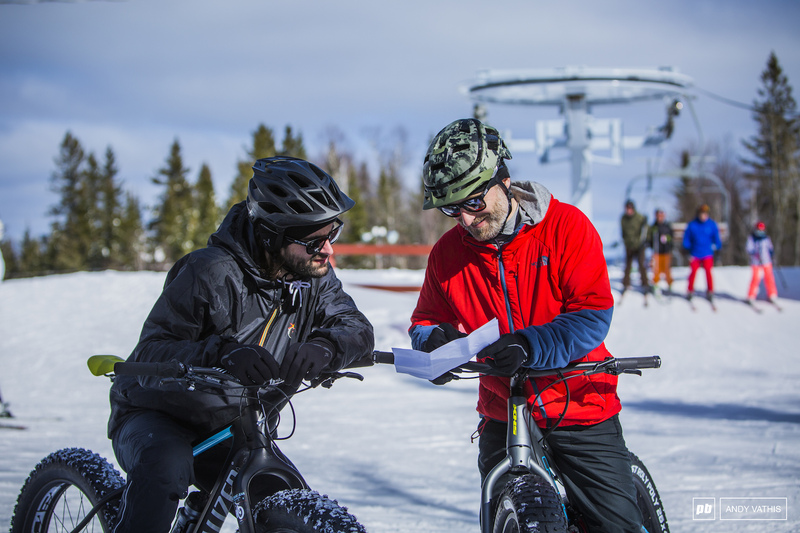 The skiers always have questions about the bikes... It must be the tires. 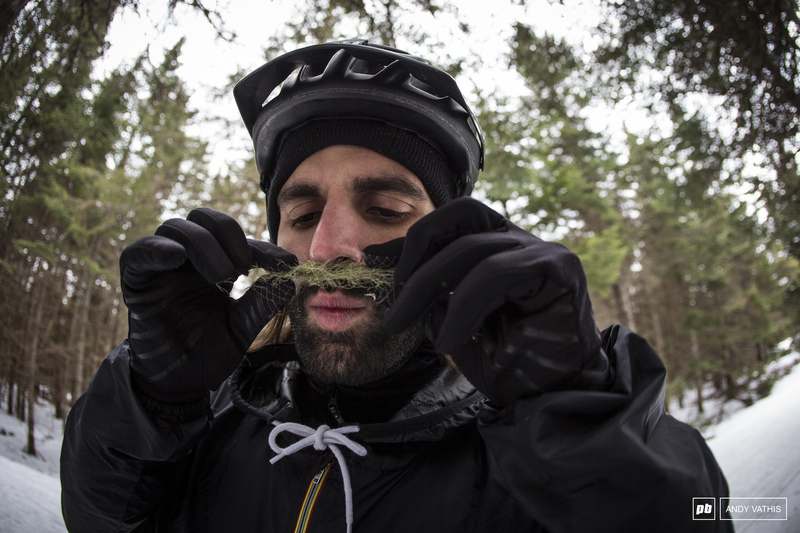 The amount of time and effort that goes into maintaining the trails was obvious from the get-go. 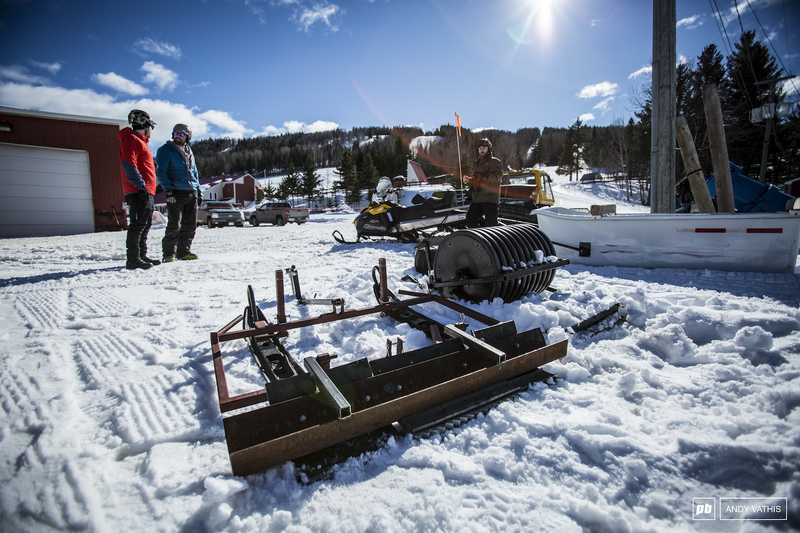 The trails were much wider than at Sugarloaf and well packed thanks to the grooming machines used by the crew. The trails wind in and out of different scenes, however, you'll be in pines for most of it. Marc-Andre getting sideways on our way back to the main lodge...but not before a quick lap through the playground glades! The small collection of attachments the crew uses to maintain the trails might look homemade, bu they do the job well. There's a piece for widening the tracks, another for packing it all down, and even a weighted device that is used to crunch up the base when it gets too icy. The beer was flowing before one last Tetris fiasco packing the car. 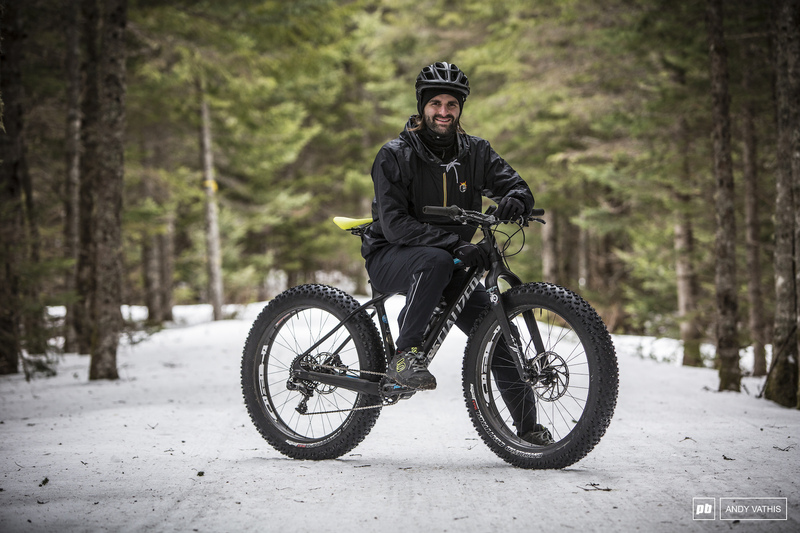 It was great to see the efforts taken to turn fat biking into an accessible winter sport. While some places are prepared to handle the maintenance and growth task better than others, all three of the places we visited had rental services and detailed trail maps available, making the experience much more enjoyable than simple rocking up to a wooded area and hoping for the best. It's exciting to think of the possibilities that will arise in the province as the sport grows and irons out the kinks. 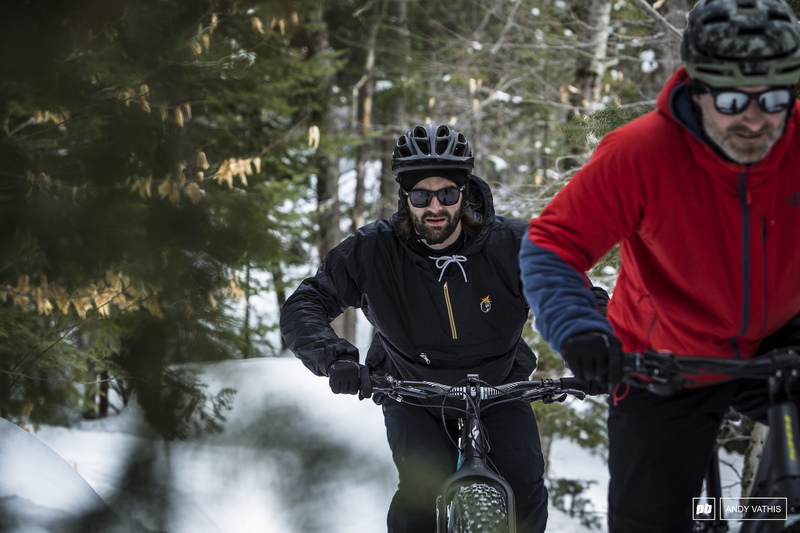 The ease of access to trails in Sugarloaf, the new outdoor facility that has riders in mind in Fundy, and the big push that Marc-André and the crew in Edmundston are driving are all contributing factors to fat biking's success in the region. With that being said, New Brunswick is definitely a destination worth checking out. 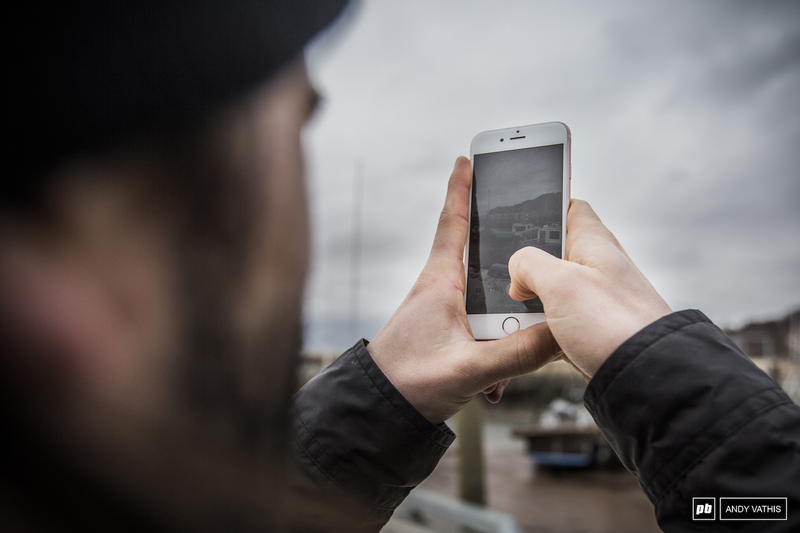 Don't forget to take in some of the East Coast beauty while you're at it! For even more photos, click here. Holy crap my province and some of my favourite places to ride are on the homepage! Beyond pumped for riding season right now. Of course all the food was sourced locally and the animals were kliled humanely. Otherwise it doesn't fit with MTBer utopia. Great article! How were the destinations close? Next time do not miss what RVC is doing in Fredericton. 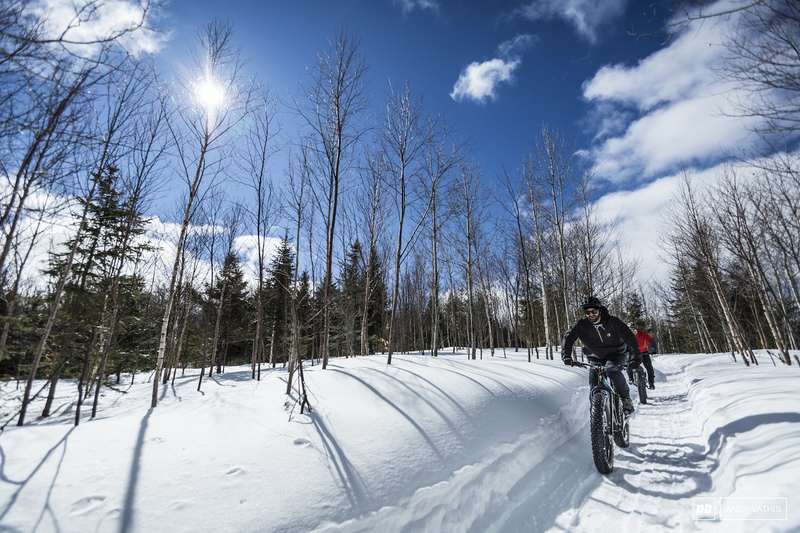 The best SINGLE TRACK fatbiking experience in the province! Also, if we have snow in Saint John (we normally do, but not this Winter), don't miss Rockwood Park! Cheers! Shout out to John McNair at Outdoor Elements in Sussex, hell of a guy, hell of a store! 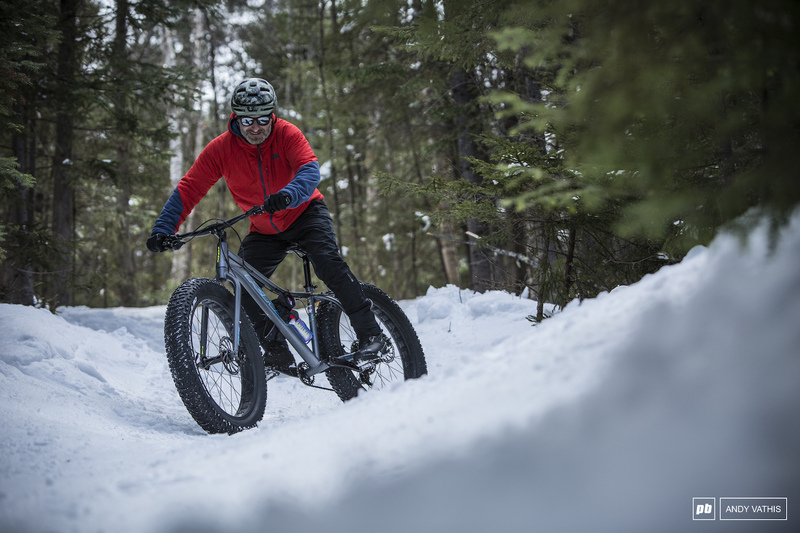 I'm kinda surprised not to see a "fat bikes are dumb" comment here... it just shows how fun they are when the snow is right. The issue isn’t the bike, it’s the crowd they attract. In my area 99% of them have never ridden mountain bikes. This means they have 0 trail etiquette, 0 handling skills and don’t understand simple concepts like tire pressure. If I had a dollar for everytime I flew by a fatbiker fred because his seat was too high, I’d be rich. Oh no - we wouldn't want to attract the "wrong crowd" to the outdoors!! Imagine, people who are new to our sport who want to get off the couch to get outside and have fun? Imagine the horror. Clearly far,far too much snow over there! be a good bunch of chaps and pass some back over here will you, I'm missing the almost 5 inches of the stuff (that's ALOT for us!) we had over here a few weeks ago. Great to see this on PB! All great spots to ride in the province. 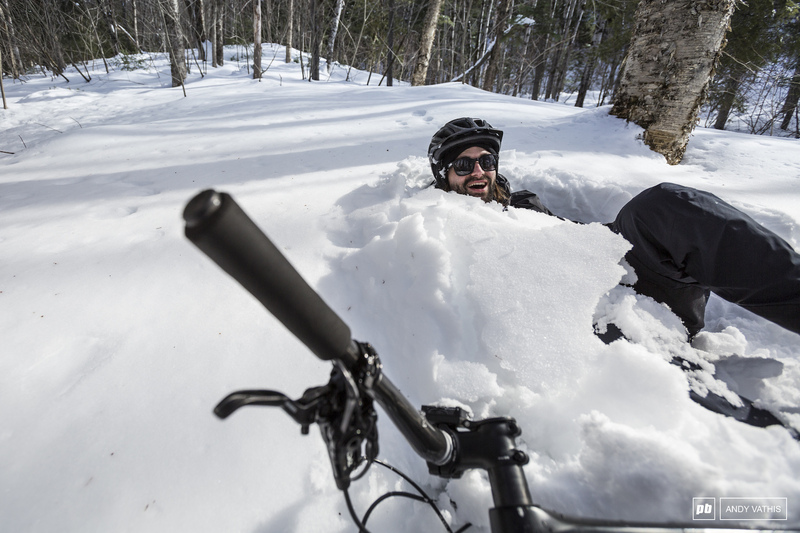 I would have liked to hear about the Fredericton Fat Bike trail system. Maybe on another visit! 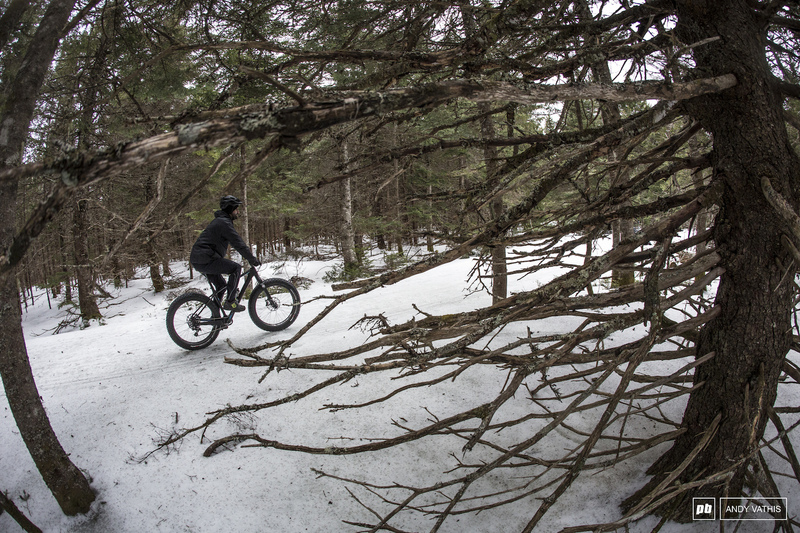 Thank you for exploring NB fatbike trails. Unfortunately you missed out on some gems. 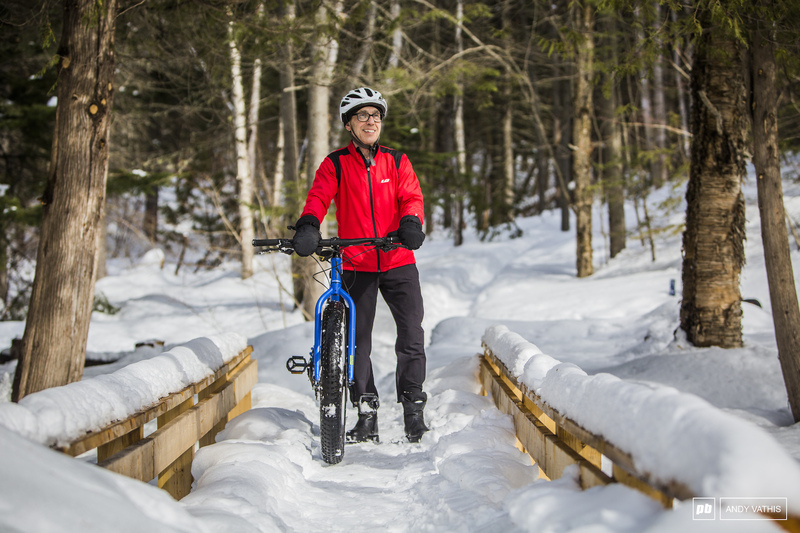 Fredericton was noted as one, but, there are some great trails in Bathurst and Caraquet. All three areas have trails that are maintained on a regular basis and are well mapped. There are also some great singletrack snowshoe trails to explore. It would be worth a trip. 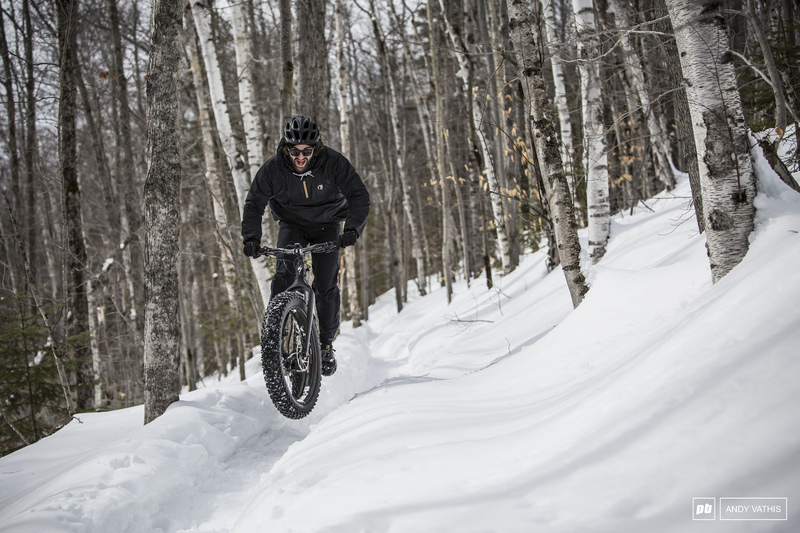 Keep in mind there is some great late season trail riding, in the north, pending how the snow holds up. Cannot forget our local microbreweries for after ride refreshments!!! Check out the album below for some shots of trails and grooming equipment in Bathurst. I was JUST searching today for Fat Bike articles on PB and couldn't find much! 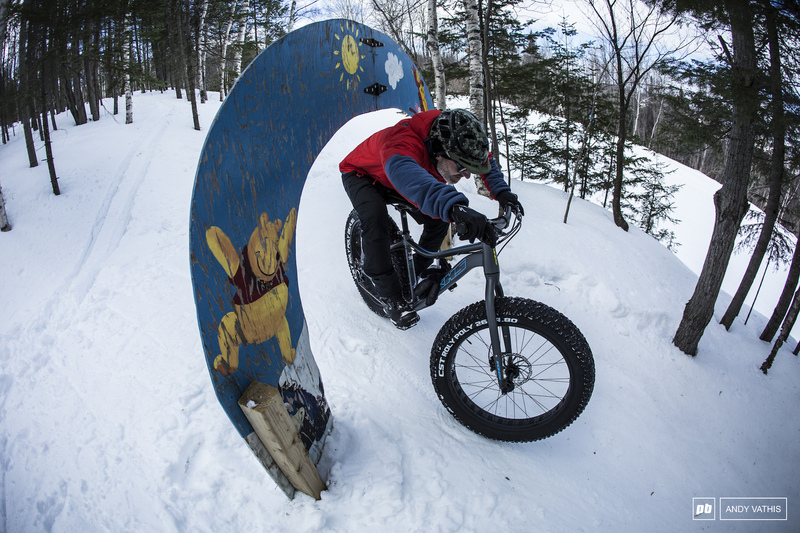 The fatbike winter network in Fredericton is insanely good... stop by next time! 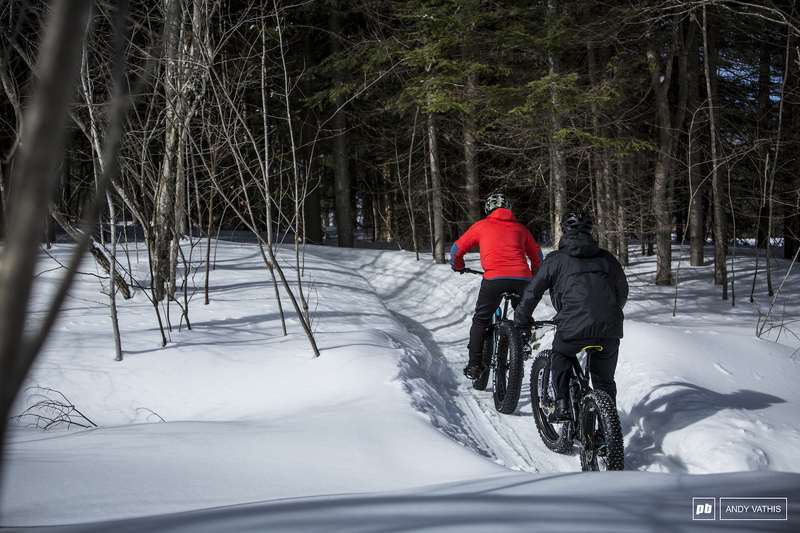 There are also some awesome groomed trails in and around Fredericton, courtesy of River Valley Cycling (RVC). You missed out, not coming to Fredericton. Feel free to reach out at www.facebook.com/groups/fatbikefredericton if you want to come see the awesomeness you missed. very cooland great shots Andy! Damn how'd I miss you guys in town? You should try Sugarloaf in the summer! It's a sponsored 'article', so I guess there was some money involved.